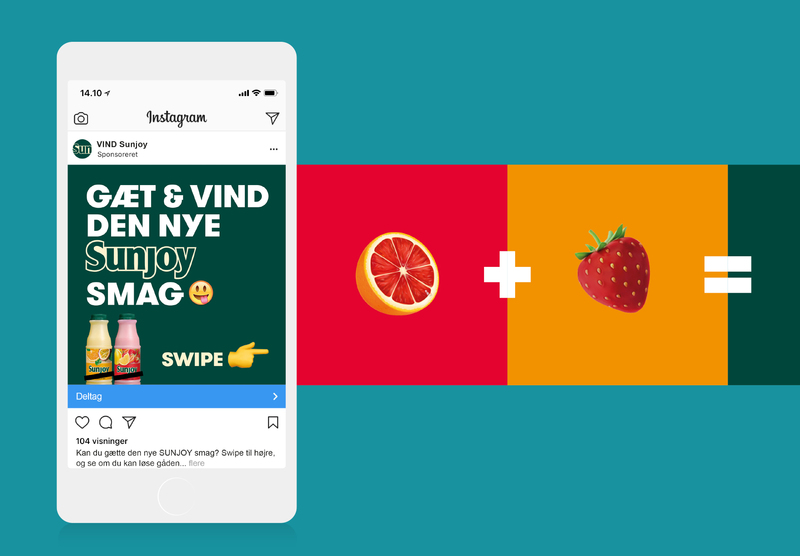 When SunJoy introduced two new flavours, we decided to develop an emoji-inspired Instagram campaign to create some buzz in the target group. 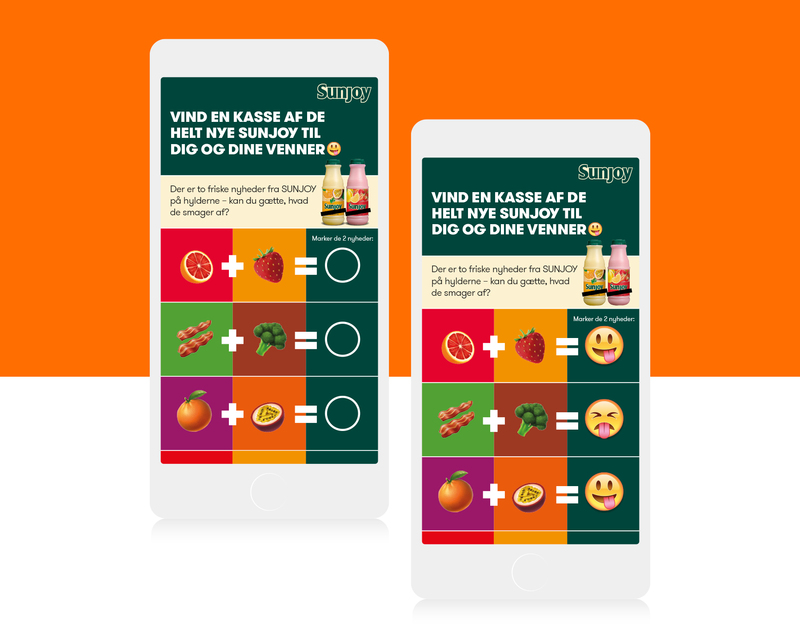 We engaged people by asking them to guess the new flavours, and by using a swipe mechanism, we led them to a microsite with the competition. 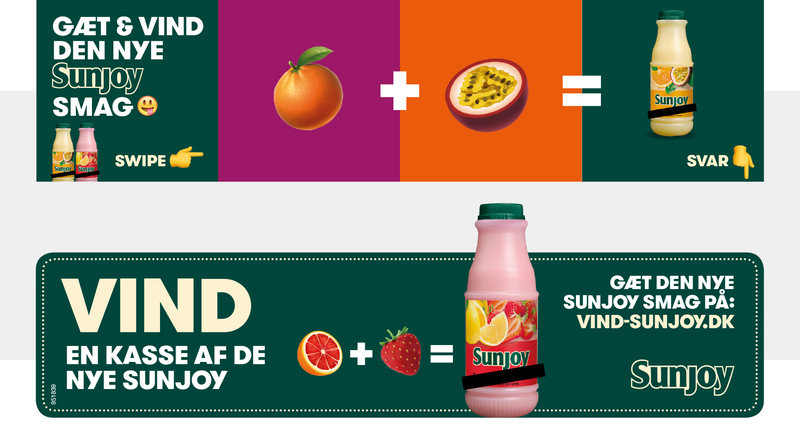 Everything was kept in a fun and colourful look to emphasize the playful brand essence of SunJoy.